can be written off or are not as lofty as they appear. I am not suggesting that but feel there is this big critical weight that is paid to some albums. In the case of Nirvana, Nevermind is seen as their defining statement. That came out in 1991 and is considered one of the best albums of all time. Many people overlook Bleach and Nirvana’s start. The record came out in 1989 and is a very different beast to the polished and blockbuster Nevermind. It is amazing to think how the Washington-formed band changed between records. Nevermind is this titanic and all-conquering record that was not expected to be a success. Given the popularity of its lead single, Smells Like Teen Spirit, the album took off and became a smash. Look back to 1989 and a rather modest introduction. Although Bleach failed to chart upon its original release, it was received well by critics and announced the introduction of this unique and soon-to-be-world-dominating group. I think Bleach is a stronger record than Nevermind because it has that rawness and I love the ragged edges. Maybe the songs are not as polished and there are fewer huge smashes but it seems like a more thrilling and genuine record. I will come to look at highlights from the album but I listen to Bleach and it digs deeper and stays in my memory longer. Their November 1988 debut single, Love Buzz, got people talking and, to many, it is the standout cut on Bleach. 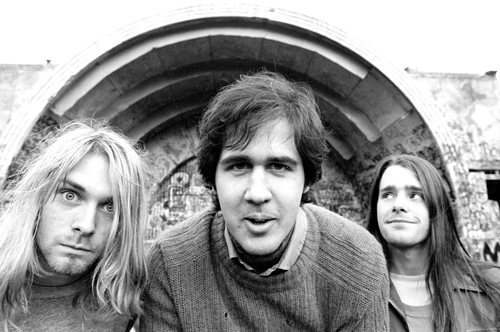 Nirvana rehearsed for two to three weeks in preparation for recording of Bleach and Sub Pop had only requested an E.P. (the band would release an E.P., Blew, between Bleach and Nevermind). The band headed to the studio with producer Jack Endino and it is Nirvana in the days before drummer Dave Grohl. 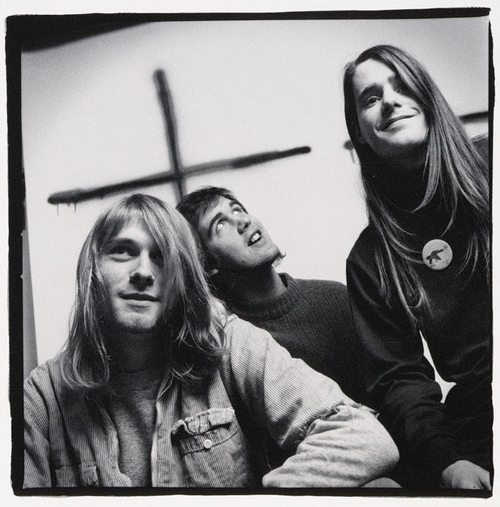 On their debut, the band worked with Chad Channing (on the majority of songs) and Dale Crover (on Floyd the Barber, Paper Cuts and Downer). Many critics noted a slightly weaker percussion sound compared to subsequent albums from the band – the magic and meat of Dave Grohl was lacking. The album was recorded and laid down fairly quickly and inexpensively but there was to be a delay. Sub Pop head Bruce Pavitt wanted the album to be re-sequenced which caused a delay until the funds could be raised. I think, although Bleach is incredible, it is a little top-heavy so I wonder whether the original track sequence would have afforded a greater spread and balance. In any case; there was a feeling from Nirvana lead Kurt Cobain that the music conformed to the Grunge expectations at the time. Cobain felt Bleach was designed to fit into the Seattle sound and, as such, the lead felt quite angered at the time. He claims most of the lyrics were written the night before recording – many were penned whilst driving to the studio – and had no real meaning. So long as they were not sexist then it did not really matter. It was clear, when listening to the songs, that there was truth and biography. Songs like School are a commentary on the Grunge scene and labels like Sub Pop; About a Girl is a Beatles-inspired gem that shows the balance of moods and tones on the album. Bleach is not only a stunning debut album but something that does not get the attention and acclaim it warrants. It is that anger from Cobain that propels the album and, alongside Krist Novoselic’s chunky and malleable bass, there is a goofiness and playfulness that sits alongside the aggression. Mr. Moustache was about masculinity and being macho; directing itself to Nirvana’s male fans. Negative Creep is about Cobain himself whilst About a Girl showcases the songwriter’s talents as a Pop crafter. Cobain was keen to hide his love of Pop – and affection for bands such as R.E.M. – because he did not want to alienate their Grunge core. He knew the risk of putting a jangly Pop song on a Grunge album but he need not of worried: About a Girl is considered one of the very finest in the Nirvana cannon. “But rather than unfairly compare it to the platinum sheen of sophomore release Nevermind, Bleach is best appreciated today as a snapshot of a specific time and place, of a Seattle scene bubbling up before it turned into a media adjective: In the Aero Zeppelin grind of "School" and the Mudhoney-quoting scum-bucket thrash of "Negative Creep", you have the perfect audio manifestation of the stark, exhilarating black-and-white Charles Peterson photos that captured late-80s Seattle like a series of strobe-light flickers (and which populate much of this reissue's 52-page photo booklet). 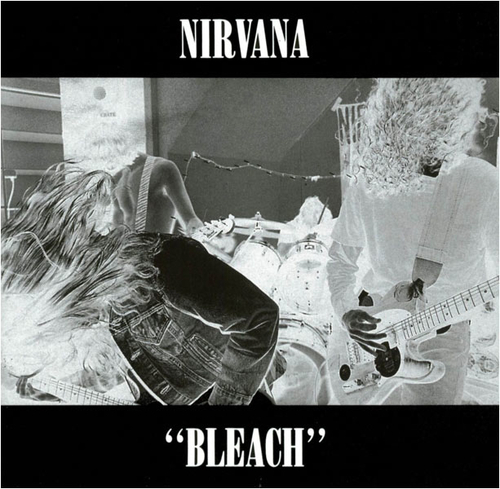 Original producer Jack Endino's new remastering job gives Bleach a much-needed boost in fidelity, but there's an intrinsic, primordial murkiness to this album that can't be polished-- while Axl was welcoming the masses into the Sunset Strip jungle, Nirvana dragged the Sub Pop set into the bleak, chilly backwoods from which they came. Though briskly paced, Bleach is a front-loaded record, the maniacal/melodic contrasts of its stellar first half-- anchored by the epochal anti-love song "About a Girl"-- ceding to the more period-typical grunge of its second”. “This is the biggest, baddest sound that Sub Pop have so far managed to unearth. So primitive that they manage to make label mates Mudhoney sound like Genesis, Nirvana turn up the volume and spit and claw their way to the top of the musical garbage heap. Included here (natch!) is their brilliant single 'Love Buzz', shorn of its original Looney Toon opening but still a magnificent couple of minutes. Equally glorious is 'Negative Creep', a leash strainer of a song that eventually gets loose and goes on the rampage like a rabid Rottweiler. Fab! 'Bleach' could be accused of being a record that is slightly top heavy with too much filler (the overlong 'Shifting' being a prime example), but give it enough spins and even the silt rises to the top. Nirvana are undoubtedly at their best when they're playing short and punchy songs as opposed to drawn out experiments with soundâ€¦But what the hell! For a first LP this sounds pretty damn good to me”. I don’t think there has been a debut album since with the same mixture of textures, moods and thrills. Most people who love Nirvana will edge to Nevermind and hold that dearest but I prefer Bleach. The grubbiness and anger is terrific but you do get melodic moments like About a Girl. The absence of Grohl does mean the percussion is not as pronounced and physical as it would be on Nevermind but that is a minor complaint.